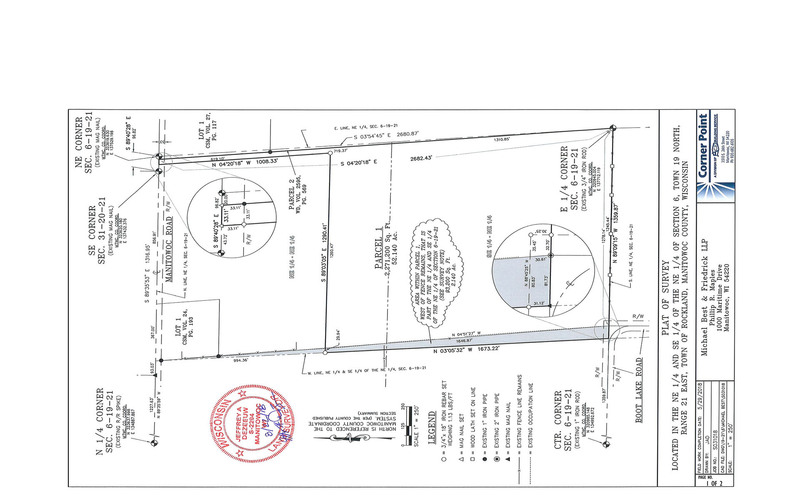 Corner Point was contacted by a local attorney from Michael Best & Friedrich LLP to prepare a plat of survey of a new parcel for the sale of the property. Because the parcels are more than 15 acres in size, a description of the new parcel was prepared and a significant discrepancy with the west boundary of the existing parcel was identified. The survey provided notice of the boundary issue prior to the sale of the property and allowed for the attorney to plan how to resolve the issue.